I know you are interested in finding a new partner in crime at the gym, so let me tell you about our new Fitness Waist Trimmers that will provide you with a ton of benefit and potential to lose weight and live a healthier life. What is it and What is it made of? One of the best and proven to work Fitness Waist Trimmers that are made with high quality materials that are sure to get you sweating and making that stomach fat go away. Made of high quality latex-free neoprene material that is durable and made to last so you can see the results you are after. Makes you burn fat in your stomach which ensures that you won’t have complications with health as you grow older. Sweats out all the toxins and other bad stuff from your body that could have an impact on your health in the long run. Enhances your posture and form so that you do not develop problems with your back in the future, and makes you feel better as bad posture is known to make a person feel sluggish. Very comfortable and high-quality materials that will last a long time and ensure that you can continue to strive and achieve the results you want to see. What activities can ensure the best use of this AWESOME Fitness Waist Trimmer? Training for insane physical tests of human might like the Spartan Race or Warrior Dash. So if you are ready to take this bad boy on go ahead and click the “Add to Cart” button and order as many as you like. BYE BYE FLAT TUMMY TEA: If you have been trying to burn fat in your stomach region and can't seem to get it right, well drop the Flat Tummy Tea and get a Heat Fitness waist trimmer. Made with high-quality latex free neoprene material that will be sure to shed those pounds away and show great results. KISS THE TOXINS GOODBYE: We all are introduced to harmful things throughout our lives and we know they are bad for us, but how do we restore our selves back to proper health. Sweating is medically proven to remove the toxins and harmful things out of a person's body, so why not get an AWESOME partner who can help you do just that.....and then some. 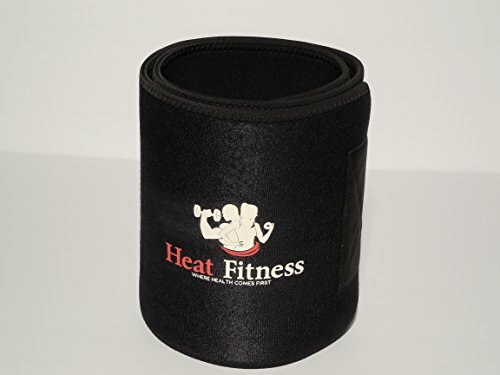 If you have any questions about this product by Heat Fitness, contact us by completing and submitting the form below. If you are looking for a specif part number, please include it with your message.